Cursive is set for a comeback. Last month, the Ohio State Legislature added cursive to the Ohio Department of Education's English language arts standards. House Bill 58 requires the department to include supplemental materials on developing handwriting "as a universal skill," with print learned by third grade and legible cursive by fifth. With this bill, Ohio joins the more than a dozen states who have adopted such legislation after Common-Core standards dropped cursive as a requirement. "It seemed we had made a decision that was arrogant on our part that we didn't think these kids needed something that we had taken for granted, that was our way of communicating for generations," Beth Mizell, a Louisiana state senator, told the Washington Post. In 2016, Louisiana passed an even more thorough bill than Ohio's, requiring cursive instruction continue through the 12th grade. Cursive's purpose in an era of typing and voice recognition software has dwindled. Even the signature, cursive's seemingly unassailable bastion, has proved less sound thanks to PIN numbers and touchpads that turn any autograph into a symbolic work of abstract art. For most of us, that thought elicits one of two responses. Either we bristle at the thought of a future generation's not knowing cursive's lovely, flowing script. Or we cheer at the idea, remembering the jeers of teachers past at our blocky, yet readable, print. Unfortunately, such reactions are seldom derived from an understanding of the research and more often the joy or trauma we experienced when learning cursive. That goes for the legislators, too. Of course, we can teach children cursive, but does it provide any developmentally benefit to do so? To start, it's worth pointing out that some people conflate cursive and handwriting as synonymous, and that's not the case. Handwriting is as an ink-bound idiolect; everyone's is different. Some people print exclusively, others use cursive, and many have formed an amalgam of the two (a category that can broadly be called D'Nealian). If we look at handwriting, not explicitly cursive, there's little doubt that it is important to child development. A study published in Trends in Neuroscience and Education has preliterate five-year-old children either print, type, or trace letters and shapes. They then underwent an MRI scan while being shown the image again. The researchers found that a "reading circuit" fired up only in the children who drew the letter or shape freehand—not the children who typed or traced it. The brain activity exhibited by the handwriting children was in the same areas of the brain adults use to read and write. Study author Karin James notes that handwriting required the children to first plan and then execute the action, steps not necessary when typing or tracing. The end results were also messy and variable, which James believes may provide a learning benefit. The advantages of handwriting appear to extend beyond initially learning to read and write. A 2014 paper in Psychological Science compared students who took notes longhand to those who took them on a laptop. The laptop students performed worse on conceptual questions. The researchers theorized the difference resulted from the way longhand notes force us to process and then reframe information. 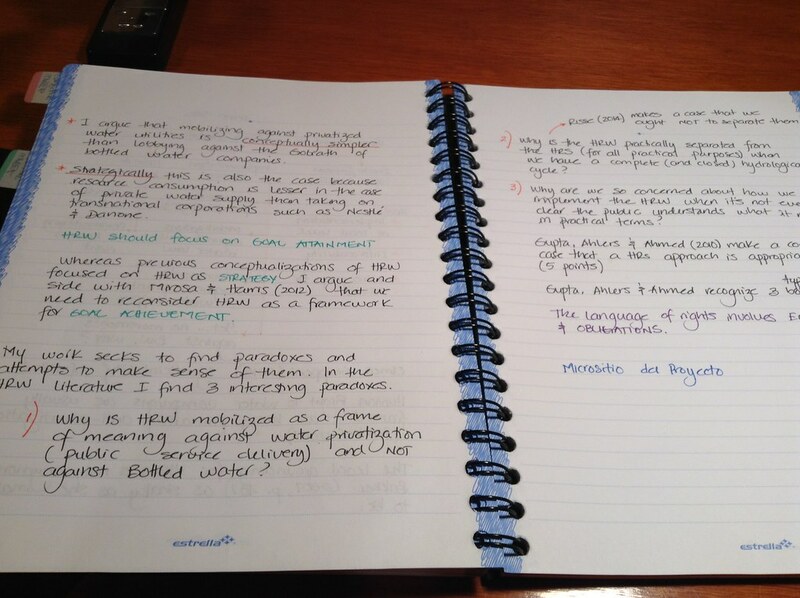 They were also careful to compare notetaking with notetaking. The laptop's ability to curb our conceptual capacity through multitasking and distraction was well-documented in other studies. "I think this may be another case where we should be careful that the lure of the digital world doesn't take away significant experiences that can have real impacts on children's rapidly developing brains," wrote Perri Klass, M.D., for the New York Times. "Mastering handwriting, messy letters and all, is a way of making written language your own, in some profound ways." None of this is to say that typing is detrimental. Handwriting proponents simply argue that students shouldn't skip over handwriting and go directly to typing. For her article, Klass spoke with Virginia Berninger, professor of educational psychology, University of Washington. Berninger recommends children become "hybrid writers," learning first print for reading, then cursive for spelling, and then typing for speed. Berninger also points out that typing may strengthen cross-communication in the brain since children use both hands. Cursive is considered to grant three advantages to students: speed, comprehension, and fine motor skills. As the theory goes, when writers lift the pen from the page less frequently, they can write more words per minute, getting their thoughts on the page faster. The comprehension argument supposes students who cannot write cursive cannot read it, hindering them from understanding historical documents. "But the real reason cursive is fading is that the arguments in favor of it are pretty weak," writes Vox news editor Libby Nelson. "They usually center on students being able to read the Constitution and Declaration of Independence (which were originally written in copperplate script, and are hard to decipher even for people who studied cursive in school) or on developing fine motor skills, which can also be cultivated in other ways." As for speed, typing is significantly faster once mastered. Anne Trubek, author of The History and Uncertain Future of Handwriting, argues that early education should supplant cursive with "cognitive automaticity" — that is, "the ability to make letters without conscious effort." She suggests that keyboards are excellent tools for such learning and grant additional benefits to students with poor handwriting and those with fine-motor disabilities. To back up her claims, she points to studies showing students are writing longer, more rhetorically complex essays than past generations, despite fewer writing in cursive. "People talk about the decline of handwriting as if it's proof of the decline of civilization," writes Trubek, in a New York Times op-ed. "But if the goal of public education is to prepare students to become successful, employable adults, typing is inarguably more useful than handwriting. 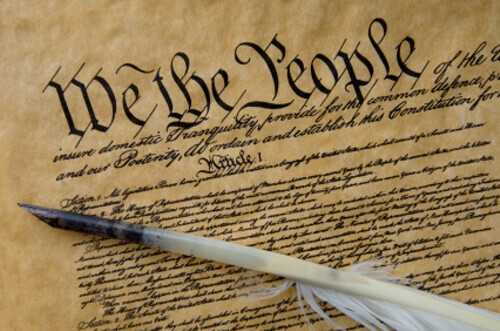 [And] there seems to be no difference in benefits between printing and cursive." But does cursive offer more cognitive boons than print, or is it simply more pleasing to the eye? Here experts have struggled to make a definitive case, but there is some evidence to suggest that cursive may bestow developmental gains. One study showed that cursive predicted better spelling and composing in fourth to seventh graders. Another made the case that it benefited children with developmental dysgraphia. A study published in Language and Literacy found that cursive demonstrated improved students' spelling, text construction, and graphic-motor skills. Interestingly, study author Professor Isabelle Montésinos-Gelet noted that children were better off learning either print or cursive, as the print-cursive method demonstrated the worst results for students by limiting the acquisition of automatic motor skills. It's worth pointing out that these findings aren't robust (yet). They can be contradictory, too. Dr. Berninger's "hybrid writers" idea seems in opposition to Montésinos-Gelet's argument against a joint approach. One of the reasons for this, as noted by Karin Harman James, an associate professor in the Department of Psychology and Brain Sciences, Indiana University, is that it is difficult to find children whose educational backgrounds only differ in handwriting style. "There is no conclusive evidence that there is a benefit for learning cursive for a child's cognitive development," she told Nautilus. What are we to do then when it comes to schools' curricula? Scott Beers, an associate professor and chair of the master of education in literacy program at Seattle Pacific University, has a suggestion. "I want to reframe the question," Beers writes. "Instead of asking which form of writing to teach, we should ask what we most want for our students as they learn to write. What's the end goal?" For Beers, that end goal should be to help students express their ideas clearly. How they transcribe those ideas is less important than the ideas themselves. He argues that students need to learn to write by hand and develop handwriting fluency—whether that fluency come from print, cursive, or an idiosyncratic D'Nealian script. "I don't think one form is 'better' than the other — research is thin and far from conclusive — but mastering two forms requires twice the time and effort, and is particularly challenging for those with writing difficulties," he adds. In this light, Ohio and Louisiana's legislation is far too sweeping. It may be worth introducing students to cursive, and students who find it appealing can certainly master it, but requiring legible cursive by fifth grade—let alone mandating it until twelfth—says more about the legislative's desire to polish the patina off a cultural artifact than an understanding of child development.